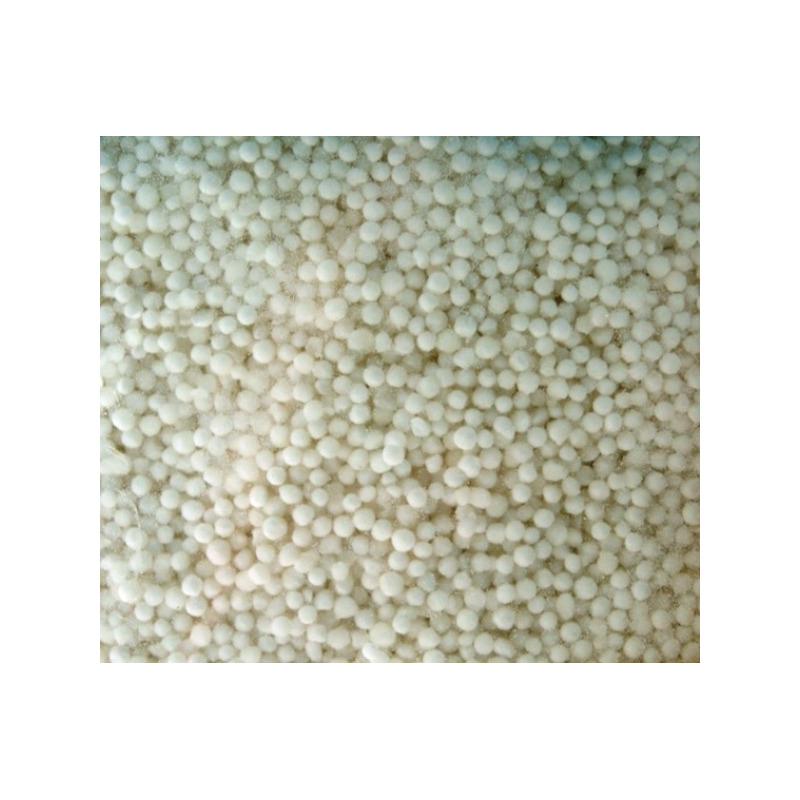 Sago, also known as Sabudana or Tapioca, is derived from Cassava or Tapioca root by extracting the milk from it, forming globules and drying them in sun. These beautiful, white pearls are very nutritious and become soft and spongy when cooked. But care needs to be taken to avoid over-cooking them as that will make it a sticky mass. Uses - Sabudana khichdi can be prepared from Sago, especially during fasts as it is a good source of carbohydrates. - Sabudana vadas are made by adding crushed roasted peanuts to sabudana, spices and mashed potatoes for binding. These are then fried in oil and are very delicious in taste. - Sabudana Kheer is probably its most common form of consumption. Other sweets like ladoo can also be prepared from sago. - Sabudana is used in poppadums, pakodas, bhel, thalipeeth etc. Health benefits - Sabudana contains a lot of starch or carbohydrates and this is why it is also consumed during fasts in India. - For those looking to gain weight, Sabudana can be very helpful. - It contains folic acid. 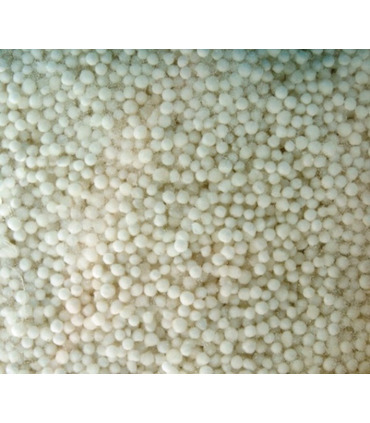 - Tapioca can also improve your digestion. Storage : Store the sago in an airtight container, in a cool, dry place. Recipe : Sabudana Khichdi 1. Rinse 1 cup sabudana a few times in water. Drain excess water leaving just a little to help soften it. 2. Dry roast 3/4 cup skinned peanuts until they become crisp. Set aside to cool. Then grind it to get a grainy texture. 4. Mix the ground peanuts, salt and (½ to 1 tsp) sugar, 1 tbsp. lemon juice with the drained sabudana pearls. 5. Heat 2 tbsp oil and crackle 1 tsp cumin with 1 chopped green chilli. Add the sabudana - peanuts mixture and sauté for 5 minutes on low flame stirring continuously till cooked. 6. Garnish with chopped coriander leaves. Read more about Sabudana here . 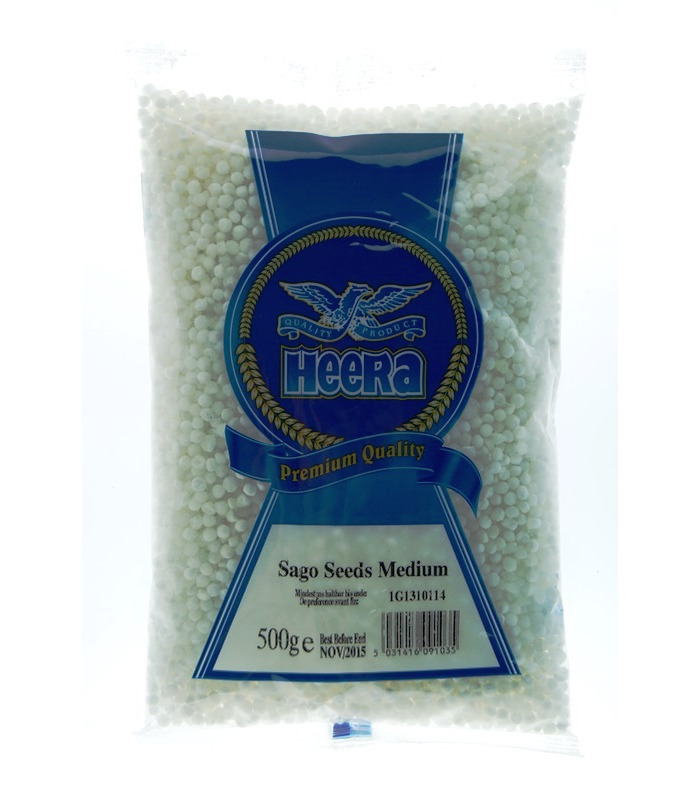 Sago, also known as Sabudana or Tapioca, is derived from Cassava or Tapioca root by extracting the milk from it, forming globules and drying them in sun. These beautiful, white pearls are very nutritious and become soft and spongy when cooked. But care needs to be taken to avoid over-cooking them as that will make it a sticky mass. - Sabudana khichdi can be prepared from Sago, especially during fasts as it is a good source of carbohydrates. - Sabudana vadas are made by adding crushed roasted peanuts to sabudana, spices and mashed potatoes for binding. These are then fried in oil and are very delicious in taste. - Sabudana Kheer is probably its most common form of consumption. Other sweets like ladoo can also be prepared from sago. - Sabudana is used in poppadums, pakodas, bhel, thalipeeth etc. - Sabudana contains a lot of starch or carbohydrates and this is why it is also consumed during fasts in India. - For those looking to gain weight, Sabudana can be very helpful. - It contains folic acid. 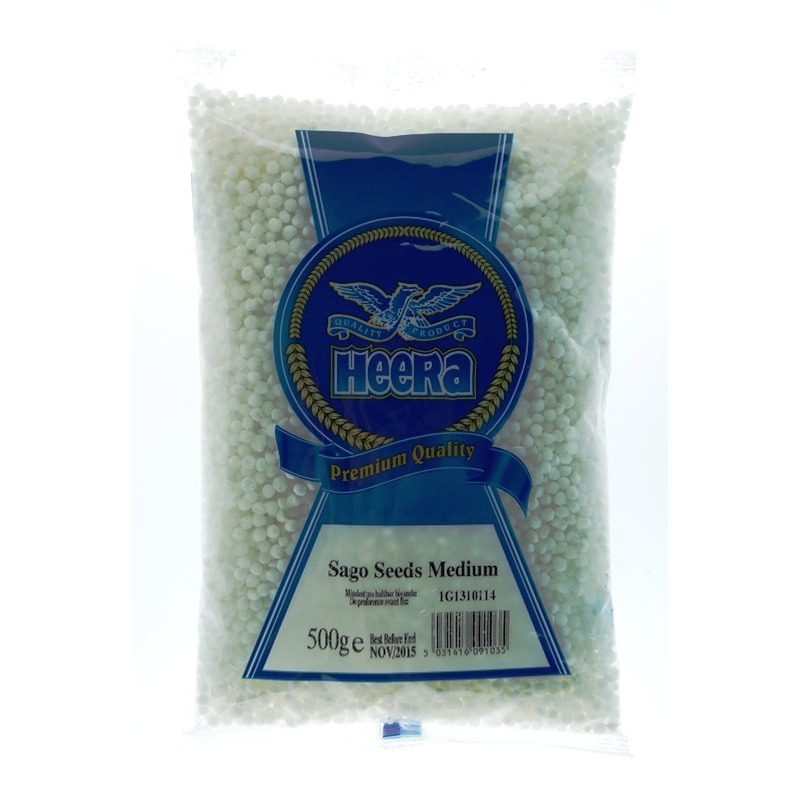 - Tapioca can also improve your digestion. Storage: Store the sago in an airtight container, in a cool, dry place. 1. Rinse 1 cup sabudana a few times in water. Drain excess water leaving just a little to help soften it. 2. Dry roast 3/4 cup skinned peanuts until they become crisp. Set aside to cool. Then grind it to get a grainy texture. 4. Mix the ground peanuts, salt and (½ to 1 tsp) sugar, 1 tbsp. lemon juice with the drained sabudana pearls. 5. Heat 2 tbsp oil and crackle 1 tsp cumin with 1 chopped green chilli. Add the sabudana - peanuts mixture and sauté for 5 minutes on low flame stirring continuously till cooked. 6. Garnish with chopped coriander leaves. Read more about Sabudana here.